In the past, watching your favorite entertainment shows or sport events meant two things only: wait for the broadcast on TV or buy the tickets to see the occasion live. Those times are now long gone and people have the capability of enjoying their favorite sports/shows via Internet Protocol Television (abbreviated as IPTV) – a method that uses internet lines to deliver video feeds. The best IPTV for Kodi does not rely on browsers in order to function, but instead uses a decoder box attached to your television to watch videos. These videos are streamed online and in real-time. The only requirement: users need a high-speed internet connection and best vpn to enjoy the IPTV for Kodi. However, there is another way to enjoy watching live television, without using a decoder box. Kodi has come under severe scrutiny. Authorities are hot on their tails to hunt down Kodi users. Check out our best VPN for Kodi to find out how to stay anonymous. Learn how to unblock the best Kodi add-ons and secure your privacy from copyright holders. This powerful, open-source, media player enables you to download and load entire IPTV channel lists for you to enjoy live television on any device/operating system. This includes iOS, Raspberry Pi, Android, Mac OS, Linux, and Windows. To load lists of the best IPTV for Kodi, install Playlist Loader (for M3U playlists) and F4m Tester (for f4m and XML streams). 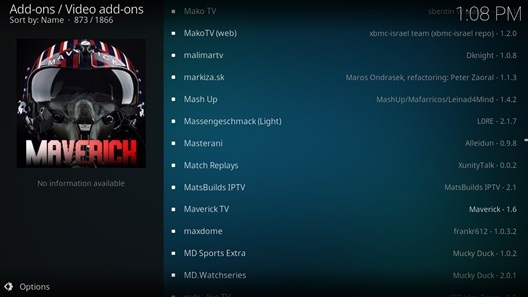 You can also download the best IPTV add-ons for Kodi. 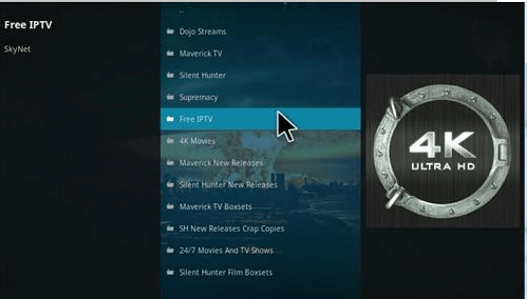 Below you can find detailed information regarding the best free and paid IPTV for Kodi. The introduction of IPTV services have really helped in boosting the delivery of TV content over computer networks. Unlike download media, IPTV allows users to stream media continuously and at good speeds. This is one of the reasons why Kodi has quickly became a famous place for IPTV extensions to take over. 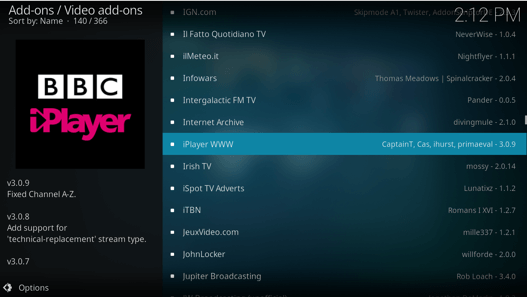 Here are the top 6 IPTV Kodi Add-ons available for streaming live shows, channels, etc. The Falcon Ultra TV add-on is famous for its huge diversity of live shows and channels content from all over the world. Upon installing the add-on, you have the ability of choosing from a wide range of countries, which include Turkish TV, Spanish TV, Romanian TV, Portuguese TV, German TV, Italian TV, French TV, Dutch TV, Canadian, and Arabic TV. You can even access World TV and Sky Movies for entertainment. Viewers have plenty of variety as to what they can watch via live streams. The Ultimate IPTV add-on from Whitecream is one-of-a-kind, boasting a large list of live streaming channels available. It uses a giant dump of m3u links and m3u8 lists for providing content to its users. Think of them as playlists to different channels located in various spots, which contain pointers to live TV channels around the world. If one stream does not work, simply try the next. You have plenty of links available for different channels. cCloud TV is one of the most famous IPTV add-ons on Kodi. It provides users access with hundreds of television channels from UK and US stations, which include History Channel, Discovery Channel, Comedy Channel, Cartoon Network, NBC, CBS, ABC, Sky, AMC, ESPN. The extension also includes a multitude of links for international radio stations. Content on the add-on is divided into ten sections: 24/7 channels, non-English, radio, lifestyle, music, movies, family, entertainment, documentary, news, and sports. 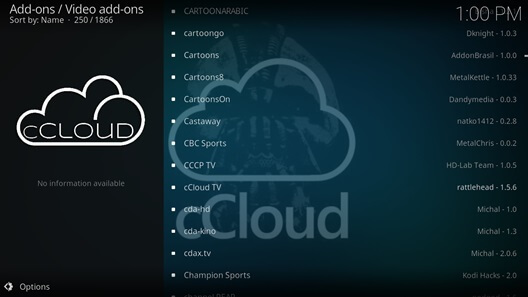 Once installed, you will find cCloud TV in the add-ons menu! The IPTV Bonanza is very similar to the Ultimate IPTV extension. It uses the same medium of m3u8 lists, which contain pointers to live channels all over the world. The only difference between the two is that IPTV Bonanza has over 1800 streams. Developers update the content streams daily. In the settings tab, you can even add a filter to your streams for narrowing the results. For instance, you can set the filter to “US” to only return streams for the UK. This feature is quite handy to say the least. This Kodi add-on is an excellent choice for watching movies/TV shows, along with IPTV content. You have plenty of options for watching live sports, news, and kids TV. Majority of the streams available are safe and stable. 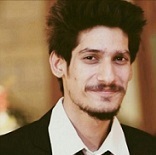 Unlike most add-ons, this extension has its own repository. Enter http://supremacy.org.uk/zip/repo/ into the “add source” menu and install the repository for using the extension. 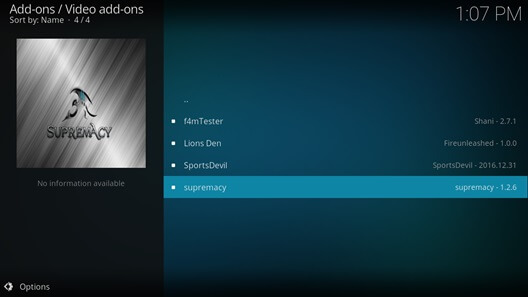 This all-in-one add-on for Kodi boasts quite the remarkable feature of content. It has sections for documentaries, entertainment channels, news, sports channels, radio, music, TV series, and movies. You can follow Joker on Twitter for updates regarding the extension. Users have plenty of choices available for streaming live content instantly. Important Note! These Free IPTV service will keep you entertained on the go, but we recommend you to use a VPN service to stream anonymously and avoid being caught in the name of Copyright and privacy! Many streaming fans are into BBC content, but never actually get a chance to watch its variety – due to unavailability. Nevertheless, if you are looking for good quality entertainment, the BBC iPlayer IPTV is definitely an add-on worth visitig. It will give you access to all UK channels and content, ranking it in the best IPTV for Kodi list. 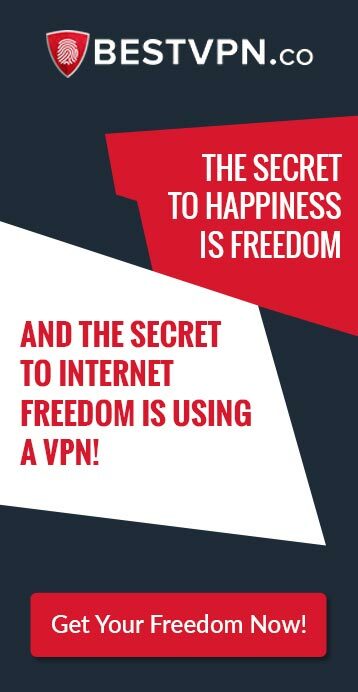 However, in order to use, you will have to connect to a Kodi VPN server in the UK. Aside from boasting a unique name, Sylvr is a great choice for those who want to enjoy live television. It ranks high in our best IPTV for Kodi countdown, featuring a good variety of channels. It is quite easy-to-use and allows you to watch high-quality streams. This ensures you never miss out on your favorite live programs, shows, or sport events, regardless of whether you have a TV subscription or not. Inspired by the “Terminator” movie series and ranking as one of best IPTV for Kodi, SkyNet boasts tons of 4k content. From movies/TV shows to live documentaries, it offers a great deal of variety for users to enjoy. Since it combines with Best Kodi addons like Supremacy, Maverick TV, Dojo Streams, and Silent Hunter, you can watch IPTV channels from outside United States and the United Kingdom. Goodfellas sounds like something you would hear in a movie. In reality, this kodi iptv is among the real OGs of live television on Kodi. It provides users access to a large number of UK and US channels, along with other countries. The menu layout is easy-to-navigate and the quality of streams is exceptional. You also have stream categories like “Motor Heads”, “Vaping”, and “Fitness” displaying its huge variety, hence why it ranks in the best IPTV for Kodi list. This IPTV add-on proves to be the most misunderstood, due to its ambiguous name. Many users may believe that the add-on only focuses on Canadian channels. In reality, you have a large selection of US and Canadian live channels available. The quality of all streams is good and the separation of channels by country is plausible. You will definitely love using this IPTV on Kodi. Enjoy using the free video streaming app! 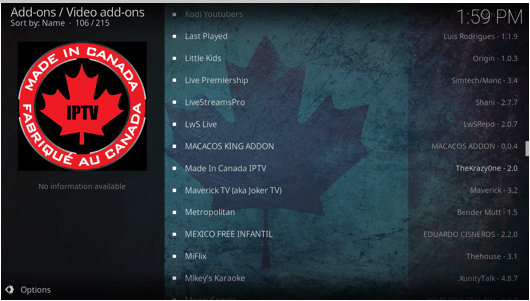 Nitro TV also ranks top in the best IPTV for Kodi paid list offering hundreds of channels from Canada, US, and UK. You can watch all popular UFC fights, UEFA championship matches, and all other popular live TV events at the comfort of your home. The subscription to the Nitro TV even allows you to receive tickets for major sporting events. What else could one ask for? 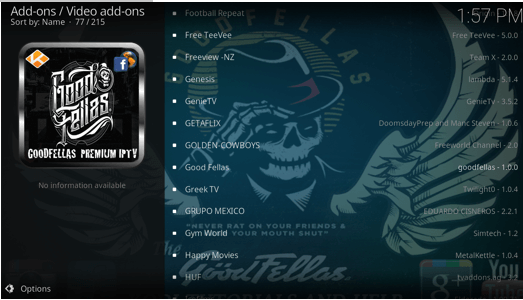 As one of the best IPTV for Kodi, Gears TV is a popular paid one that gives access to hundreds of live television channels around the globe. It works only on the 16.1 Jarvis version of Kodi, but gives you full HD quality on all USA, UK, and Canadian channels, which include Epix, Starz, Showtime, and HBO. Best part of all: the pricing for the service is less than one tank of gas or a decent dinner for two! Since LiteIPTV ranks in the best IPTV Kodi List, it offers a great deal of versatility and reliability to customers for a decent price. It gives users access to approximately 500+ channels and 200 HD channels from all over the world with premium support. This ensures you never miss any live event ever in your life! You can download the iptv from here. In the name field, enter a suitable title > done > OK.
Find IPTV to install and enjoy live television! You have just download and installed a new IPTV add-on and you are looking forward to finally watching your favorite news or sports channel. However, after a while, you notice the streaming coming to an end. Now you can see nothing but the buffering sign spinning and increasing your frustration. What seems to be the problem? There could be a few reasons as to why you may experience streaming issues. The first is a quite a simple fix. It could be possible that you are not receiving enough bandwidth. This means, you may need to invest in a faster internet connection. It is preferred to get a 10Mbits/sec network or more. If the problem persists, it may be time for you to clear the Cache. You can do this by entering Kodi’s cache settings menu. You can also tweak the buffering settings with some basic coding to increase streaming speeds. All you have to do is copy and paste the codes below in a notepad file. Save the file exactly as “advancedsettings.xml” and then transfer it to your user data file. If you are using Windows, simply click on the search button and enter “%APPDATA%\kodi\userdata”. The advent of internet has brought great changes into our lifestyles. Everything from the way we do work to leverage entertainment now utilizes a digital medium output. The same goes for Internet Protocol television (IPTV). It is an upgrade to the traditional cable TV service provided by local carriers in a particular area. The only difference, IPTV uses a set-top box (STB) for receiving TV programming as well as video-on-demand (VOD). Kodi takes this content delivery form to a completely new level by providing add-ons. This makes watching Live TV incredibly easily, as you can easily install an add-on and begin watching your favorite news, history, discovery, or sports channels instantly. When compared to cable TV, this tends to be quite simpler and quicker. Since you have a great variety of channels available from around the globe, you are not only restricted to content your local provider offers. Most importantly, when you use a software application like Kodi for using IPTV, you do not pay a single penny. All users have to do is invest in a fast internet connection and that is the end of it. You do not have to worry about receiving your programming from hybrid-fiber-cables (HFC), which may even be inconsistent in some neighborhoods. IPTV, on the other hand, is strictly baseband. The quality of videos is also better and compression method is more efficient. Where traditional cable TV uses MPEG-2, the IPTV channels use MPEG-4 (H.264). This medium compresses files while retaining the best quality! If you want to watch live television without any bounds and restrictions, it is time you considered using best iptv for kodi. This way, you can enjoy every favorite live event and occasion, minus the high costs of TV subscriptions. Just follow the steps above and relish live TV like never before! I am not very tech savvy and understanding how to install Kodi addons took me a great deal of time, but im so glad I found this blog. I was looking for some way to enjoy watching live channels online and this is more than good. P.s I went with Ultimate IPTV. It is working good so far. However, sometimes I do experience issues in streaming. Im sure its not my internet giving trouble. Its pretty fast. All is well. The suggestions are good. 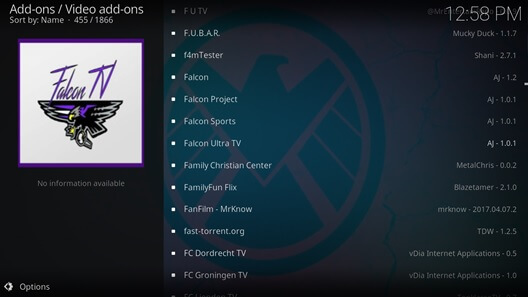 I really want to install the Falcon Ultra TV add-on, but how do I get it? Most of the repositories are down! I read this article and felt that Supremacy was the add-on I would find the most versatility. I was right! The add-on is perfect for IPTV streaming. Thanks for the suggestions. Thanks for commenting Carter. We are happy you liked our suggestions. Do not hesitate on writing a complete review on the add-on. Have a nice day! Wow these suggestions are amazing! I specifically love the Sylvr add-on. Now I can’t imagine how life would be with it. Simply love the variety of channels available! Man I’ve just given up on installing BBC iPlayer. I really want to use the damn thing, but all the repositories are down! Is there a solution to this…. HELP! There is nothing to worry about Jayden. We do understand its been a tough time for Kodi users, ever since the shutdown of top repositories like Fusion. However, we always have a solution ready! You can easily install the BBC iPlayer add-on from the SuperRepo Repository. Enter this URL in the “Add Source” menu: http://srp.nu – Thank us later! thanks for goodfellas suggestion, its working and has everything i wanted to watch, so much choice … yummy! Thanks for the support, most kind of you for the feedback. can you kindly recommend an IPTV build from the Ares Wizard? there are so many in here I dont understand. I usually use the Cosmic and the Ultimate Builds. I have different ones on my phone and my PC. I will suggest try out Cosmic its got some great IPTV add-ons that work. In case you need help Im just a message away. Hi guys the latest working IPTV add-on in July is Sanctuary available in Super Repo. It includes the Oblivion IPTV add-on whihc hosts over 50 channels from the USA, UK, Canada, Netherlands, Germany and Australia. Its got HBO in HD and SD, so i think it will do well for Game of Thrones season 7. It also has all the BT Sports and BeInSports channels for football. They have Fox and comedy central too … yippie! you can install the add-on directly from super repo. After most of my iptv add-ons stopped working I install the super elite IPTV add-on , I had previously removed it since it had stopped working. It was know as elite iptv before and it is back with all categories working. There are over 50 channels now in entertainment, almost 30 in the kids section, 20 movie channels and also a 3d section that I couldn’t view properly.